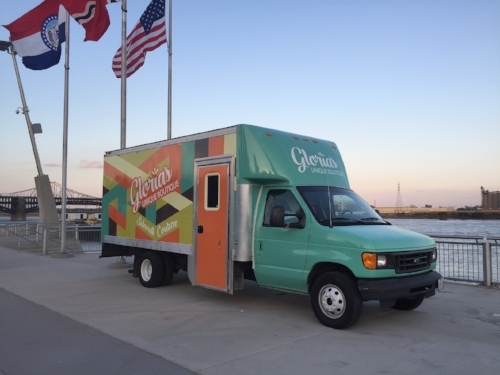 Hi, I'm Gloria, the owner and operator of Gloria's Unique Boutique. My mom owned Gloria's Boutique in North County in the early 70s. I remember the days of helping her with the hangers and jewelry while my older sisters had the task of organizing the new inventory. One of my dreams was to follow in her footsteps and open my own boutique. I love that I am at the forefront of one of the fastest growing industries, mobile fashion trucks and I'm proud to be one of the newest owners in the St. Louis Area. We launched in June 2016 and what a great first year. Our boutique is a mobile retailer that specializes in ladies' apparel, accessories and inspirational gifts. Our motto: We're not just selling merchandise. We want our customers to feel welcomed, empowered, beautiful and inspired! I'm doing what I love, meeting the most wonderful people and having fun in the process! I have the best customers!